Konami has updated its Switch launch title Super Bomberman R with a massive helping of new content. The shiny new Grand Prix mode is a team versus mode where two teams of up to 3 players battle it out in various arenas with new characters blessed with unique special abilities. The mode includes two match types. In a "Crystal" match, two teams compete to earn points by collecting crystals. If you get hit by a bomb you lose half of your crystals. The “Basic Bomber” match sees two teams compete against each other using standard rules; each has a number of lives and you have to destroy your opponents to earn the most points before the timer gets to zero. What do you make of this impressive update? Let us know with a comment. Okay, who is the Nine new characters ? I hope there is NO nsfw games characters in Cartoonish looking like previous DLC before. Grrrrr !!!! I will going upset then. I wish Konami would bring "Contra", "Castlevania", and "Gradius" to the Switch with as much quality as the ex-Hudson staff did with this game. With so much free post launch support, I reckon the initial review scores need to be bumped up a few points. Btw, Dear Konami. Release Dance Dance Revolution Ace to Nintendo Switch with more than 300 songs by Default + More than 200 songs as DLC. Every time I think I'm done with this game, they send in another free update. I am more and more tempted to pick this up. My only concern atm is the price, never found it below 40€. Next eShop sale I'll consider it. @Yasaal ditto. I wanted it at launch but cannot justify the price. A Bomberman game shouldn't be this expensive. Selling at the same price as BotW when Switch was launched, and still having that same price now. Are you crazy Konami? Cut the price in half and you will get more sales! Digital copies don't cost you anything, cut the price! All these price complaints seem more than a little hard to justify when these updates are all FREE. The fact that this game has all this support without adding BS microtransactions is a big deal nowadays, and from Konami no less! Totally worth full price IMO, and had it since launch happily. And Goemon is so freaking awesome. Ten outta ten! Its brilliant that they keep adding content. Its still high price for a comparitively simple game but when Nintendo innevitably do a 19.99 selects Switch range, this will become a no-brainer. You can play as Goemon? Mmmhh.. haven't played a Goemon game in quite a while. I mean, the last two Goemon games I got were on the N64. Well, this is the bit of fanservice where I get big eyes. I'm very nostalgic for that series. Princess Tomato is also in? That's a pretty good surprise, I bet nobody thought they put such an obscure Hudson character from an NES game in. Still, for a Bomberman game, I miss the good music. From what I heard it's cheap arcade pop remixes, like the mediocre WiiWare version. It's not the extravagant electronic music that I instantly loved in games such as Baku Bomberman 64 and Bomberman Hero. For a retail Bomberman game it should have better a soundtrack. That would have sold me long ago. Princess Tomato? Holy poop that is a name I haven't heard since I was a kid. Neat! @Shiryu Seconded. 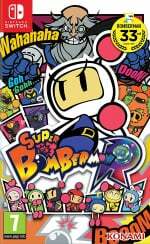 It burned paying the full retail price for SUPER BOMBERMAN R at launch but credit to Konami. In this instance, I do feel they have tried to add in more value to a game which was blatantly overpriced to begin with. It would be a wonderful gaming world indeed if Konami could bring over so many of its quality gaming IPs from yesteryear. Along with Capcom, Konami are a true giant in terms of their legacy across the arcades and 8-bit, 16-bit era consoles. Earlier this year I revisited Sunset Riders both on Snes and on the arcade machine. Such a brilliant and fun game. @Lroy Speaking of "Sunset Riders" I do hope Natsume brings Wild Guns Reloaded" to Switch soon! Story mode is still an atrociously boring experience, but at least control issues and framerate issues have been mostly fixed. Multiplayer maps still locked behind a currency that is way too slow to acquire without grinding the aforementioned lackluster story mode. I still can't recommend this game to anyone, it's simply the worst Bomberman game I've ever played. I have no idea who most of these characters are, but always cool to have new options. Glad I got this with Zelda at launch. @yeayeanaynay I have the game, the campaign was legit to to me. Basically, if you like classic Bomberman, the game delivers. It definitely does not reinvent the wheel, but it's what you would expect. Boss battles are pretty epic. Glad to see more updates, by the way. @Shiryu Hell yes. I recall reading a Retro Gamer magazine article on the Wild Guns remaster a few months back. Sounded really interesting, an evolution of the SNES original. @Lroy Picked it up on a whim during a STEAM sale and was very pleased about the whole think. But I really want to play it on the Switch for the perfect experience. And still on the subject of "Sunset Riders", this brilliant pseudo-sequel needs more love. Wow. Neat. I guess I’ll turn this game on again. I Hate to see them ! If i can Completely Not using them nor even Skip the Event, i will definetely Set a Very Strict Rules. @RailX how much stuff do they have to add before you can? @faint not about adding content. The game launched way overpriced, especially given its critical reception. This game has gone from an unplayable mess to essential. Too bad most gamers haven't gotten the memo. The character powers redefine the game. 3v3 sounds like a great next step. All that said I do think the game should have been cheaper with micro transactions. I have no problem paying to unlock all the characters with their different abilities. I'm less fond of grinding for them. I'm so glad I bought this on launch, unlike a lot of people, honestly. I still have a good chunk of time clocked in and so it's good that Konami is keeping up their deal on rolling out the free updates til now. Will check this out in a little. NOTE: To anyone who shops at Best Buy and is waiting for a price drop to justify picking this up, you'll be able to nab Super Bomberman R for half off ($25) for one of their Black Friday sales. Iirc, lowest price out of the retail sales I've checked. @RailX at what point does added free dlc change the value proposition? @Stuffgamer1 Yep. Free updates are free updates that, even going by a no-brainer person, you don't even have to pay for. And having concerns for this game being "overpriced" is now redundant thanks to the updates it's received then. I don't understand: People are okay paying full price for Splatoon and ARMS for its free updates, yet shoo away Bomberman R despite getting the same treatment and being priced $10 lower. Sure, the game wasn't much to look at at launch, but come on. @RailX @Yasaal If you live in the US, it's going to be $25 at Best Buy on Black Friday (presumably $20 with the Gamer Pass), $35 at Target same day. Just got back from playing GP mode, the prologue cartoon alone is well worth revisit the game (no spoilers!). Sadly Goemon Bomberman costs 1000 in game coins, so I only picked up a few of the new Bombermen. 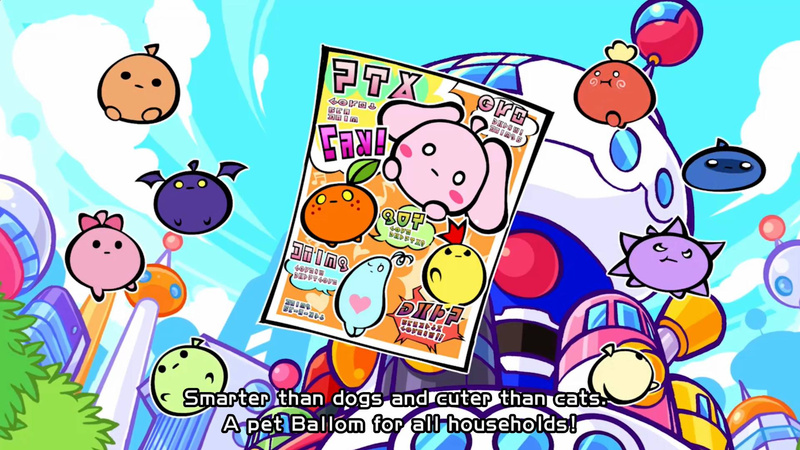 It’s an ok version of Bomberman. The best will still always be Saturn Bomberman. I’d pay more than $60 if they ported that version to Switch. Nice update. It'd be nice to get some more story maps though. @StephenYap3 Because the game still doesn't feel like a $60 game with its shoddy art direction, lackluster story mode, and insane grind to unlock multiplayer levels. If refunds were possible on the eShop I would've gotten one day 1 and never looked back, but alas. If this was Crapcom, we'll be paying for all of that. Thank goodness there's still a good side to Konami. Just speaking about the game in general...if you like Bomberman you will most likely enjoy this. I bought it at launch and didn't feel cheated. The multiplayer is good. The campaign is not the most epic thing I ever played, but to look at comments I'm not sure what some people are really expecting out of Bomberman these days. I guess some people are thinking it should be priced like an indie title even though it's from Konami. @Galenmereth The game is $60? I dunno, where I'm from, it's $50. Look, man. I'm not much of a fan of its art direction in some cases, but it's still Bomberman without going for a gritty dark realistic look. The story mode may not be much to look at, but at least we got to have a Single Player Mode of sorts after being deprived of one for about seven years. And while grinding for gems is a problem, we can now earn gems in multiplayer mode as well thanks to an update. Say what you want, but Super Bomberman R has significantly improved since with its updates, making it well worth the $50. I just wish I could say the same for 1-2-Switch and Flip Wars (priced at $10, but after buying and playing it for 20 minutes...I kind of want my money back...). @BlueKnight07 I'm gonna be honest: I wasn't expecting an amazing Story Mode either, but I did happen to enjoy it regardless. @StephenYap3 My issue with the art direction is that it's visually noisy, making it hard to distinguish different elements in many of the game's levels. Low contrast often make even something as simple as multiplayer sessions more hassle than fun. Now obviously this is subjective and you feel it's worth your money, and I really do not. This feels and looks like a cheap game, but it doesn't have the price point of one. The updates alleviate some of its baffling launch issues but I still wouldn't recommend it to anyone. I think the whole of Nintendo fandom would jump for joy at a new Contra. And if not, I know I would! Did they ever fix the controls on this game? They felt so slippery and/or non responsive to me, almost to the point of being unplayable and I haven't turned it on since I first got it. @Shiryu Just wanted to express my huge thanks for tipping me off to the pseudo-sequel for Sunset Riders. I fired up Mystic Warriors on Mame emulation last night and was blown away at how much fun it is. Essentially, a more refined version of the mighty Sunset Riders with ninjas! Plus, early on there is an awesome nod to this Dev team's previous masterpiece: fighting through an American drive-in, the movie playing on the big screen is the memorable attract mode intro for Sunset Riders. Just brilliant. Mystic Warriors has been one of my most pleasant gaming discoveries this year. Thank you Sir! @Shiryu Don't forget TwinBee. Dang, love that series so much. @StephenYap3 Gimme me "Parodius" too! @Lroy Everythign is better with Ninjas. Wow, i just tried it and i have to say this update is pretty amazing. I knew another update with a new mode and charaters was on the way, but i wasn't expecting that there would be so much new stuff. This is bigger then all the previous updates combined! @chess227 According to this page: https://www.konami.com/games/bomberman/r/us/en/news/ - Version 1.2 fixed the slippery controls.